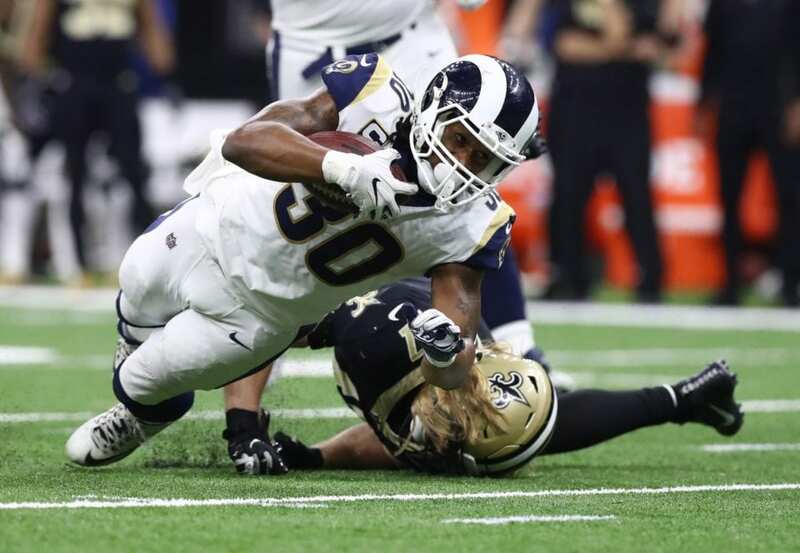 There has been plenty of debate surrounding the controversial no-call during the Los Angeles Rams’ win over the New Orleans Saints in the NFC Championship Game, but Todd Gurley decided to have a little bit of fun with the whole matter. With just under two minutes left in the game, Nickell Robey-Coleman made contact with Tommylee Lewis during a pass attempt from Drew Brees. Despite the obvious penalty, officials decided not to throw a flag just as they had done throughout the whole game. The Saints were ultimately forced to settle for a field goal and the rest is history. As a result, there was outrage on social media as fans did what they could to discredit the Rams. It is clear that Gurley is having some fun with the whole affair given all the complaints on social media. At this point, he is happy to be punching his ticket to Super Bowl LIII. There is no question the no-call had a major impact on the outcome of the game, but the same can be said for a number of penalties that officials missed on both sides prior to that play. Unfortunately, recency bias tends to take over in games like this. As a result, many have taken their win with a grain of salt. Although the consensus has somewhat downplayed their legitimacy, it does not appear to be bothering Gurley in the slightest. Gurley was clearly emotional after winning a game where he struggled mightily to get anything going. Perhaps Gurley is well-aware that sometimes it is better to be lucky than good.